Dianne Dwyer Modestini, who painstakingly restored Leonardo da Vinci‘s “Salvator Mundi,” is exasperated by the questions that have been raised about the condition and attribution of the rediscovered painting that was to have been unveiled on Sept. 18 at the Louvre Abu Dhabi. 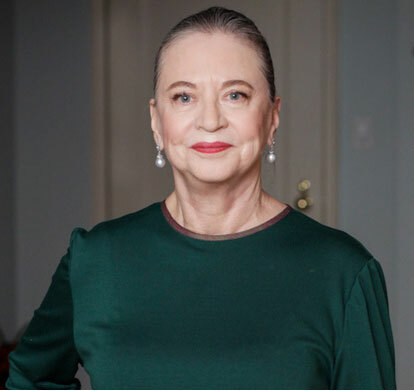 Joining the many reporters who have tried to learn about the painting’s current status, I recently made my own series of inquiries—to Dianne and several others who I thought might know something. These questions have become more timely with the imminent first anniversary of Louvre Abu Dhabi’s public opening, Nov. 11: Some have speculated that the unveiling was delayed to coincide with the anniversary celebration. A wave of rumors swelled after Abu Dhabi’s Department of Culture and Tourism (DCT) tweeted on Sept. 3 that the planned public display of the $450.3-million painting had been postponed. “More details will be announced soon,” the tweet promised. “Soon” hasn’t yet happened. Some critics have suggested that the delay might be the result of misgivings over the painting’s condition or even doubts about whether it is by Leonardo at all. It’s supposed to have been in Switzerland, but I’m not quite convinced, because a conservator who was asked to make a condition report more a month ago still hadn’t seen it as of last Monday [Oct. 22]. I’m rather worried because although it was framed in a microclimate, it is not a long-term solution. I’m pretty sure it left Christie’s in mid-May. Then it disappeared. It never went to Abu Dhabi. However, the panel is badly damaged and exceptionally reactive to changes in RH [relative humidity]. It needs to be at not less than 45% RH, even though it has some protection because it’s in a microclimate created by sealing it up in an envelope of Marvelseal—s standard technique. I have refrained from commenting on some of the recent articles about the restoration. However, in light of the fact that no one can now see the actual painting, various digital images are standing in for the original, all of which can be manipulated any way one wants and are a sort of falsification of the original. The photo lamps or strobes (in the case of the Christie’s images) produce a simulacrum of the actual painting, more vivid, sharper, snazzier, if you will, than the actual battered image that I restored as carefully as I could, trying not to invent anything. These flashy images cannot include the nuances and problems created by the three dimensionality of the corrugated surface and are being compared with an only slightly more accurate scan of a good 8×10 transparency of the cleaned state, which was more honest. I’m terribly sorry but I don’t have any answers for you on these questions. Like everyone else, I’m waiting to see what happens next. Thank you for reaching out to us. 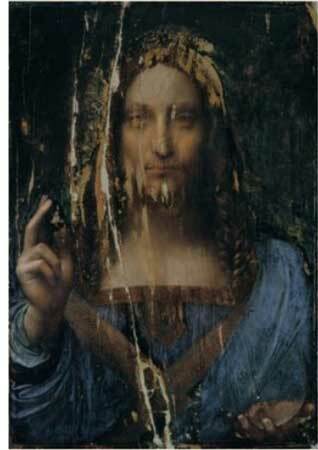 Please note that the Department of Culture and Tourism—Abu Dhabi (DCT), the owner of Leonardo da Vinci’s “Salvator Mundi,” has postponed the unveiling of the painting. DCT are handling all enquiries regarding the “Salvator Mundi.” Please kindly contact Amena Abdulla Khoori and Faisal Al Dhahri at DCT for any questions. I sent an email to both of them (at addresses specified by the Louvre Abu Dhabi) and I also wrote to another DCT official, to whom I was referred in Amena Abdulla Khoori’s “away” message. 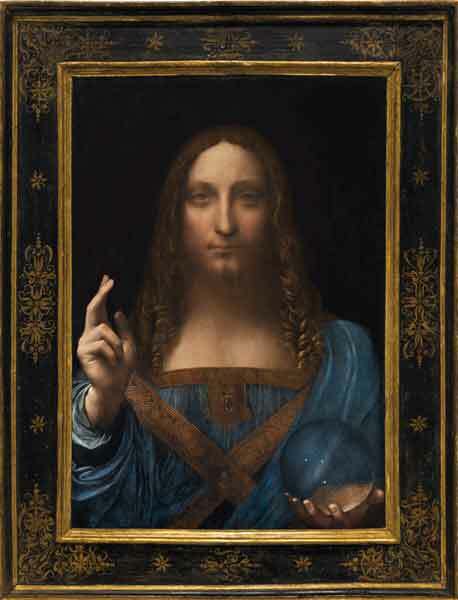 I contacted the press office of the Louvre in Paris, asking why the unveiling at the Louvre Abu Dhabi had been delayed; whether the delay was related to uncertainties about attribution or condition; whether (and when) it would be displayed at the Louvre Abu Dhabi; whether “Salvator Mundi” would be included in the Louvre’s upcoming “Leonardo” show in Paris, Oct. 24, 2019 to Feb. 24, 2020. It is too early, one year ahead, to communicate on the list of the loans for the Louvre exhibition. Concerning Louvre Abu Dhabi, they communicate themselves about their own collection. Grange advised me to get in touch with Faisal Al Dhahri at Abu Dhabi’s Department of Culture and Tourism—one of the three officials whom I’d already attempted to contact several times, to no avail. I have no idea about the future of the painting. No one does. Not the French, not [Leonardo expert] Martin Kemp. I assume the people from Abu Dhabi know something, but they are not talking to anyone, not even the French. The consensus of experts contacted by Syson in advance of his National Gallery exhibition was that “Salvator Mundi” is indeed by Leonardo. Assuming they’re right (or even if some experts disagree), the information blackout regarding a painting promised for public display is not only disturbing, but also a breach of faith with (or by) the Louvre, the Louvre Abu Dhabi, the Abu Dhabi Department of Culture and Tourism, art scholars and the museum-going public.